If you do not know how to crochet you could look at these internet stitch guides for chain, slip stitch, single crochet and double crochet. This site www.anniesattic.com/crochet and the instructions use American stitch naming conventions, Australian conventions call the American single a double and the American double a treble. 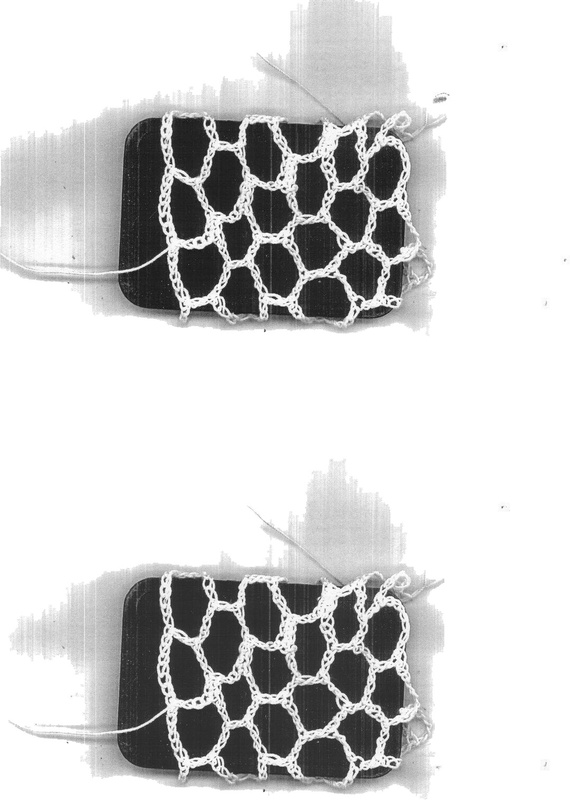 An enlarged image of the first 7 crochet rows of the white nanotube is given above, a piece of plastic being inserted to aid contrast. The starting point is where the tail hangs. You do not need to understand nanotube geometry to follow the instructions, but if you do then the image with ring numbers and the comments relating to the atomic structure may help you. Lets assume that the axis along the nanotube is called the y axiz. Lets call a ring, all atoms with the same y coordinate. Two rings are always crocheted together in a single crochet row, one of each ring alternately. 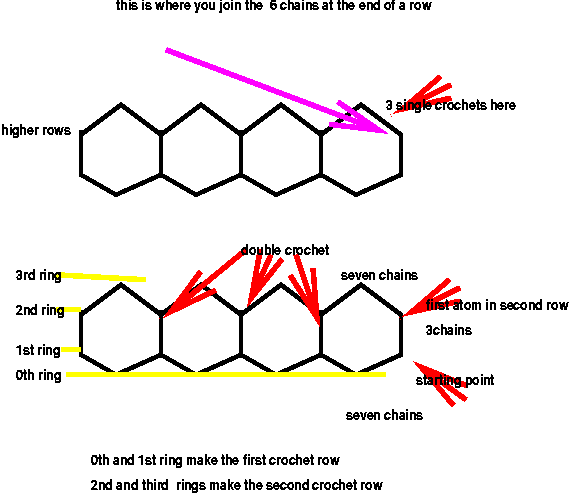 The 0th and first rings are crocheted together, and the second and third etc. In the seven rows of the white nanotube image there are 14 atomic rings. Each atom is at a joining point of three bonds and each 3 chains or double crochet is a bond.